Today i'm gonna show how to apply the design pattern decorator to android's views making use of its dependency injection's concept. I thought it was a nice, clear and simple way to decorate views and that's my motivator to share it with you. I'm assuming you know the decorator pattern already and are looking for real examples involving android. If you are trying to understand the concept behind it, this is also a good article but you may need to learn the fundamentals first. There are a bunch of good books out there. I personally recommend head first. Put some icons of your choice in the folder drawable-yourChoice. In my example i took the drawable-xhdpi. I took the icons directly from my eclipse package. You may use your own icons. 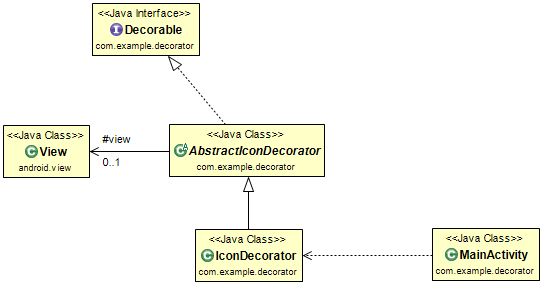 * The common decorable interface to be used while implementing decorators. * Concrete classes must call this constructor to conform the decorator's contract. * as background to the view of this constructor. * Concrete classes must call this constructor to conform the undo decorator's contract. * @param views the views to be undone. This is a very nice implementation that takes advantage of android's concept of dependency injection over the resource class R.drawable.myId. Using it, we don't have to implement a lot of decorators. Instead of it, we implement just one and inject our dependencies according to our needs as you will see. * Creates an universal icon decorator to be used while dealing with view's decoration. This is a special kind of decoration. 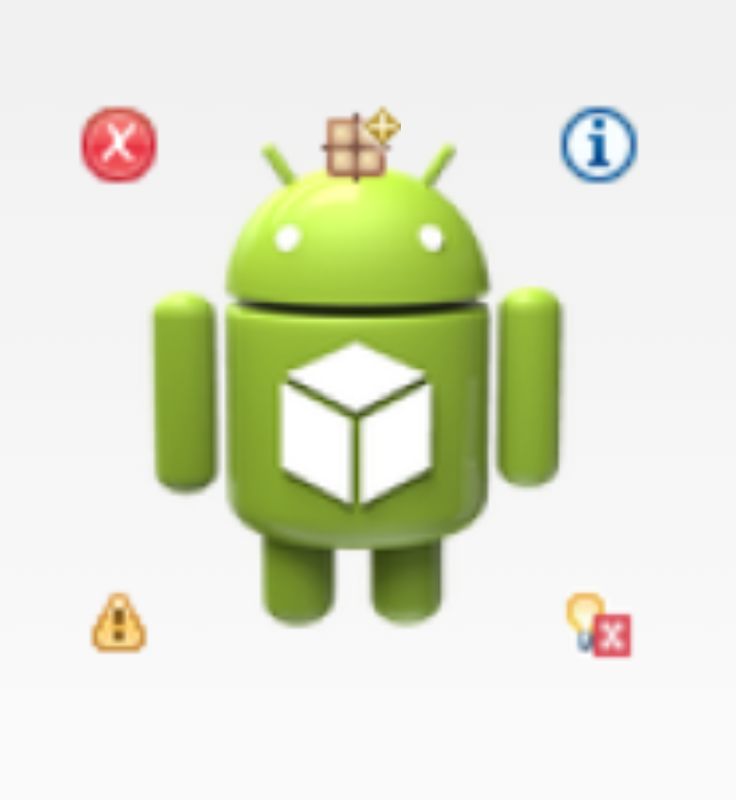 I will decorate the main icon(the android's green robot icon) with "nothing" making all decorations disappear. * Use this decorator to undo decoration by passing the view to be undone. * Creates an undo decorator. * @param views the views that has been decorated to be undone. 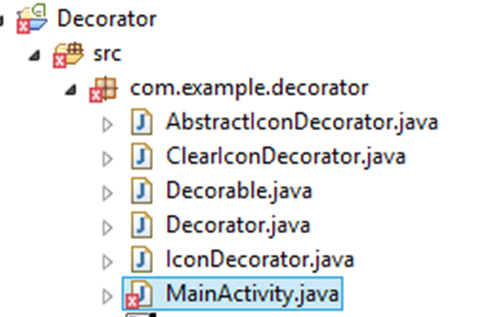 // ... or you may use directly the universal decorator IconDecorator(...). So that's all. Hope you like it.